Professor Danilov and Dr Kukurin guide a traumatic brain injury patient through movement control exercises on a whole body vibration unit. 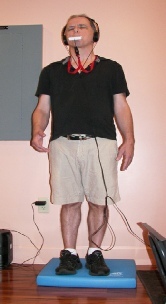 The CN-NINM or PoNS unit applied to the tongue amplifies the rehabilitation. 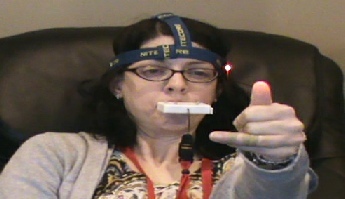 Parkinson's patient trains balance while using the CN-NINM / PoNS device. 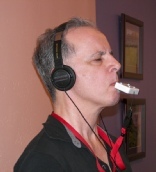 Dr. Kukurin has done collaborative research with the University of Wisconsin’s TCNL Lab. 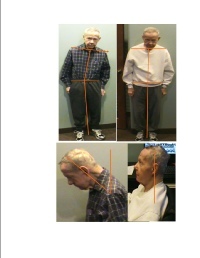 Above, Lewy Body patient showing postural improvement following PoNS treatment and Advanced Neural Rehabilitation. To the left, Dr. Kukurin works with a patient suffering from Cerebellar Ataxia. 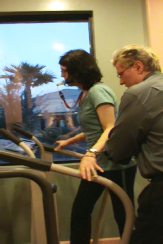 Within a week of using the PoNS device she was able to walk short distances on the treadmill without holding onto the hand rails. A case report from our office has been included in a scientific symposium related to CNS injury.